How to Add a 12 Volt USB Charger to the Hawk 250 for $17! Home / Vehicles / How to Add a 12 Volt USB Charger to the Hawk 250 for $17! May 16, 2016 By John P.
It was super easy to install, mounted right on the handlebar under the padded cross brace. You do have to use all of the little rubber inserts that come with the kit to get it to fit the bar, because its clearly made for a little larger bar. But it works great, and even after beating up the bike off-road quite a bit it’s still mounted securely. 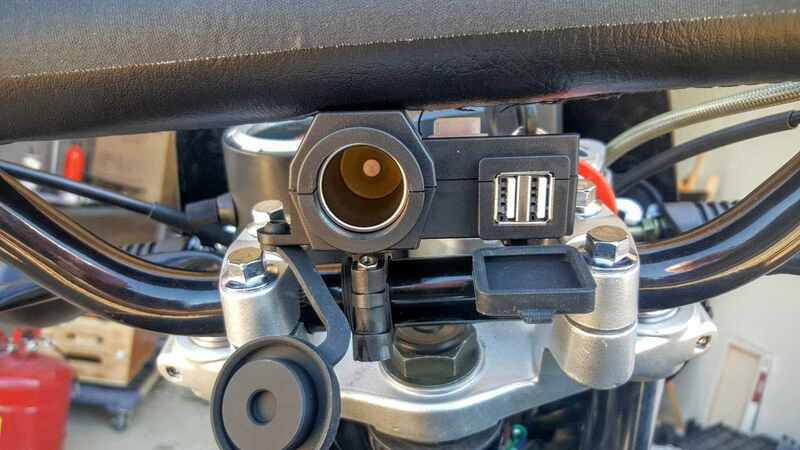 After you basically just bolt it in place, remove the side panel of the bike and route the power cables over and connect them to the positive and negative terminals on the battery and you’re done! Questions? Ask away… but seriously, it’s that easy. Get the USB Charger here. 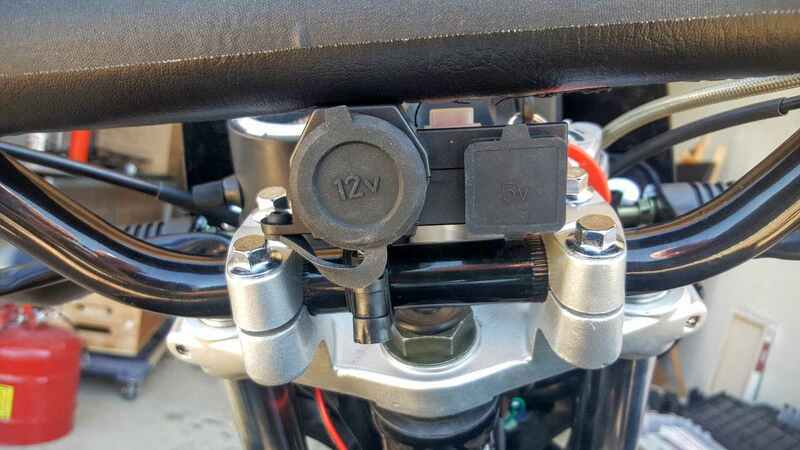 Just curious, why wouldn’t you tie it into an ignition-controlled source of power to avoid possibly draining the battery when the bike isn’t on? Great idea! I was just lazy… And I figure nothing will be left plugged into this when you aren’t on the bike. The only exception would be say leaving the phone to charge when the bike isn’t running… but that wouldn’t kill the big gel battery I put on the bike anyway. Why would you want a charger on your bike. To power a GPS or handlebar mounted phone.